Without caching, WordPress has no choice but to hand-stitch every page you visit on-the-fly while you wait. Just imagine if your local Walmart did that every time you ordered a large T-shirt. With caching, instead of hand stitching your WordPress pages together, WordPress just pre-prints your pages so that when someone visits your site, it can just hand someone that page right off the top of the stack. That is what page caching does for WordPress. Much more efficient. 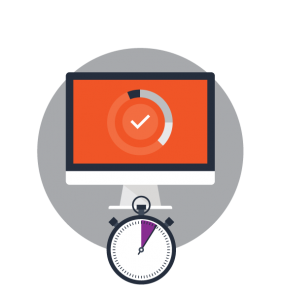 Your website can only run as fast as its slowest component. And even the parts of the site you aren’t using still require WordPress’s attention just to sit in the corner. Eliminating junk and known slow components from the site will free-up WordPress to do what it does best instead of wasting its time running a plugin daycare. Despite popular opinion, WordPress and plugin updates do exist for a reason. They fix broken features, but they also improve site stability, security, and even performance. And sure, sometimes new software from an update doesn’t play well with part of your site. But if your site slowdown is fixable with an update, all it takes is an attended upgrade by a pro who can deal with the issues that arise to alleviate the bottlenecks holding your site back. When it comes to site speed, a better question might be “when don’t I need this?” Study after study has shown that every major online sales and marketing metric is impacted directly by site speed. Site stability, uptime, and speed all impact conversion rates, abandonment rates, ad click throughs, and overall customer satisfaction. 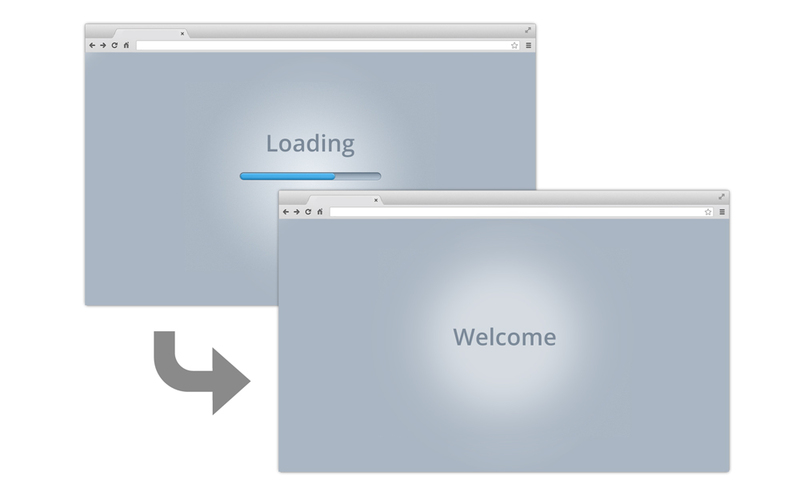 The general expectation most visitors have is that your site will load in 2 seconds or less. Consequently, most studies suggest that for sites that take over 2 seconds to load, you can expect a 4-7% conversion or ad revenue loss for every second it takes to load your site. And that’s just for desktop/laptop users. If the majority of your site traffic comes from mobile devices, those numbers go up from there. And that is exactly why Google now considers both page load speed and a site’s appropriateness for mobile devices when ranking your site against other search results. If you’re on a tight budget and just need to take the edge off of your site’s slowness, a basic optimization will do just that. If you’re looking for more substantial improvements, if your business depends on conversions or revenue from your site, or if you have your own server or VPS, you’ll want to look at the our Advanced or Total Optimization packages which are more tailored to those scenarios. How will this affect my site speed and stability? While Basic Optimizations are designed to achieve the bare minimum site speed improvement, you will still notice an immediate improvement in load times and stability once one is complete. Basic, low traffic, business or personal sites that are strictly content and that are not interactive in any way may suffice with just a Basic Optimization. More interactive sites (e.g. blogs w/ comments, forum/membership, custom theme/plugins, or e-commerce) or sites with higher traffic will definitely need a more substantial optimization in order to notice the impact of the performance improvement. But if your aim is to squeeze the very most performance out of your website, you will want to look at one of our more advanced optimization packages instead which are more tailored to that purpose. How is this different from Advanced and Total Optimizations? E-commerce sites, forums, blogs w/ comments, high traffic sites, custom sites, and other more interactive sites all require more processing power in order to function as expected. As an example, a very common complaint amongst e-commerce site owners is that the checkout page is slow. Given that the site has to process a credit card, complete an order, calculate shipping/taxes, and more – often for several customers at one time – the checkout page is already geared to be slower than other pages. But when you take a site that is configured with stock WordPress settings and put the weight of e-commerce behind it, you typically find that the checkout page is also being artificially slowed by all kinds of misconfigurations – often the sort that you will never see in a speed report from major vendors like GT Metrix or Pingdom. And if you’re using a dedicated server, VPS server, or low quality hosting on top of that, you can couple that slowdown with either stock server settings (and their slowdowns) or with just insufficient horsepower for the site to operate smoothly. That’s why Advanced and Total Optimizations are specifically designed to handle those sorts of problems. How fast will my site be once this is done? As a benchmark, we always aim to achieve a 3-4s minimum site load time even with our Basic Optimizations, but 3rd party factors like poor quality hosting can definitely impact that. Ultimately, our optimizations are designed to help your site tap into the resources that it has. So if the hosting offers it little in the way of resources, the impact of that poor hosting will be more noticeable. As an example, it is not out of the ordinary for a boosted site to take 4 seconds to load on a poor quality host and only 1 second to load on a higher quality host, while a non-boosted site might run equally slow on both hosts. That’s why ultimately if you’re looking to get the most speed out of your site, you will have to keep an open mind with your hosting and other 3rd party providers. And, of course, if you’re trying to max out your site’s speed, then you may want to consider an Advanced or Total Optimization which is more tailored for that purpose. Will this make my site as fast as it can be? To put it simply, no. While Basic Optimizations will definitely make a noticeable impact on your site’s speed and stability, they are not intended to fully max out your site’s speed. If you’re trying to squeeze every ounce of speed out of your site, you should look more closely at our Advanced and Total Optimization packages which are designed to do just that. Will my site get A grades for every score on speed testing sites? Unfortunately, no. Popular speed testing reports are known for requesting impossible changes or changes to software or websites that you do not control. One ironic example is that Google PageSpeed has been known to occasionally request changes to code in Google’s own services (like Google Analytics). Obviously you can’t change something that you can’t control. Ultimately, what matters is the actual speed of the site. If your site receives an F grade on some particular speed score, but it loads in 1 second (considered better than perfect) it doesn’t particularly matter that you have an F grade for that score. The people visiting your site won’t ever see those grades anyway. They are only interested in being able to use your site and get to it quickly. That said, if you want to maximize your scores in popular speed testing tools, the Advanced and Total Optimization packages are more specifically tailored to achieve that. Do you fix all issues reported in speed testing reports? Can you optimize WooCommerce sites? Yes, but more interactive sites like e-commerce sites are really better served by either an Advanced Optimization or a Total Optimization. One of the most common requests we get involves speeding up the checkout page of a WooCommerce site. While the bulk of our optimization techniques are focused on WordPress as a whole, they do directly impact the checkout page speed and we do apply a number of specific WooCommerce optimizations for such sites as well. Can you handle high traffic sites with complex infrastructures like CDNs, load balancers, WAFs, and reverse proxies? Yes, absolutely. But sites with this type of architecture really only tend to gain from the optimizations that we provide as part of our Total Optimization package. Currently we provide before and after reports from major speed test providers to show the scope of the improvement. But for most site owners the results are noticeable even without reports – which is the point of the optimization after all. How long does an optimization take? 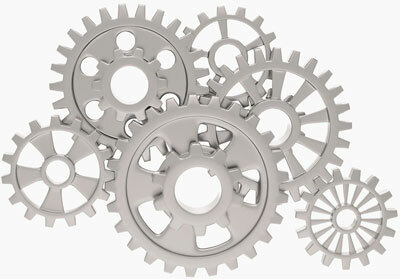 Basic Optimizations can usually be taken care of inside of a 1-2 business day window. Can you help us switch hosting? Yes. Our Total Optimization package includes the option to switch hosting providers if your current hosting provider is part of the problem. As an alternative, we do also offer standalone hosting migration as a completely managed service including site migration and DNS change management. Not as part of our Basic Optimization package, but both the Advanced and Total Optimization packages do include image optimization as part of the service. Do you optimize our database? Not as part of our Basic Optimization package, but both the Advanced and Total Optimization packages do include database optimization as part of the service. Do you work with custom themes and plugins? Yes we do. But bear in mind that the more custom a site is, the more custom its optimizations often must be as well. Do your plans include recoding themes or plugins? No, but we do often have to do that for more complex or custom sites. If your site has some sort of artificial speed limit imposed by the way that the theme or a plugin is coded, we can provide you with a quote to address that separately from the main optimizations that we do for you upon your request. Do your optimization a work with mobile devices? Yes. Our speed optimizations work the same across all platforms. Bear in mind that some speed testing sites will recommend that you make your site responsive as part of a speed optimization and while that is definitely a great idea, it’s something that is a larger undertaking than just speeding up your site. That said, if you do need help making your site responsive, we do offer assistance with that as a standalone service and can provide you with a quote specific to your site upon request. Can you help make my site responsive? Yes. While converting a site to a responsive design for the purposes of improving the mobile experience is crucial to all modern sites, it’s a completely custom endeavor that is unique to each site. If you need help making your site responsive, just let us know and we can provide you with a quote that is unique to your site. None that are permanent. Finding the right fit for the optimizations that are appropriate for your site may take a little bit of trial and error, but they are relatively quick and painless to address and once they have been addressed are permanently fixed. Should I expect down time? While it’s always a good idea to plan for down time when making more substantial changes to your site like this, in practice very few sites ever incur down time with the type of changes that we make to them. unable to be optimized, we’ll refund 100% of the cost.